Some my favorite things and products I’ve talked about here on Em & Everything! I’ve recently started incporporating collagen petidesd into my daily routine becase of the incredible benefits – which include improving gut, skin, and bone health! The best part about this collagen is it’s tasteless so I ca sneak it in anywhere! If you want to give it a try, the awesome people at Further Food gave me a discount code to share with you – it’s EMANDFOODIETHINGS10 for 10% off your first purchase!! Find it here. 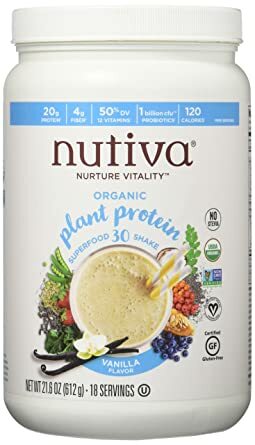 Nutiva Organic Plant Protein in flavor Vanilla is my all time favorite protein powder. What’s better is that is packed with superfoods and vitamins. Love love, love it! Found HERE. My everyday foundation and has been since I studied in London and tried it in Paris at the flagship store. I was hooked. You can find it HERE. My favorite exfoliator because it’s gentle and all natural. I love using it after I workout, my face always feels soft and clean. Find it HERE.